CadCon’s mission is to provide great service to great clients on the Sunshine Coast and across Queensland. 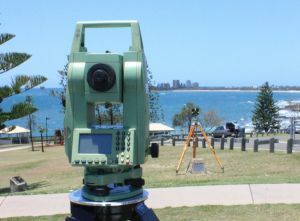 CadCon Surveying and Town Planning is a company of Sunshine Coast surveyors and town planners that provide town planning and surveying expertise and services in line with the international definition of the functions of a surveyor and the professional skills of qualified Town Planners. This combination of skills is necessary to provide the solutions needed for the complexity of modern land use planning and administration and to deliver comprehensive land development consultancy and surveying services for projects large and small. We are also expert in the provsion of spatially accurate cadastre’s (SPARC) to facilitate the efficient management and design of infrastructure projects and land administration for local & state governments, mining and exploration companies and major construction companies. Our office is located in Wrigley Street, Maroochydore on the Sunshine Coast and our surveyors and town planners provide services across Queensland. If you have any further questions or need more information about the services that we provide please contact us today.